John Hattie, world-renowned researcher on student performance indicators and evaluation in education, identified over 190 factors that influence student outcomes–knowledge of these factors enables schools to identify trends, mitigate negative influences, and enhance the teaching and learning experience for students. With Qualtrics, districts can know exactly what’s influencing and uncover the “why” of student outcomes and can share these insights with stakeholders. 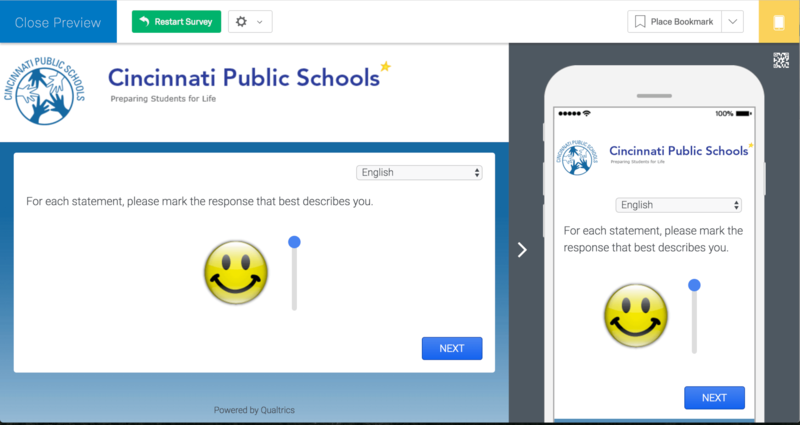 Whether its behavior, social-emotional learning, school safety, or engagement, the Qualtrics platform allows your district to more fully understand the key drivers behind student outcomes. With this data, teachers and administrators can better prepare students to graduate with the knowledge they need to succeed, and easily follow-up on their progress with automated alumni tracking. Knowing how students are progressing in real-time requires fast, flexible technology. Qualtrics offers the most flexible solution for conducting formative assessments and checks-for-understanding in the classroom–with easy and diverse distribution options to meet the needs of any school. From integration with your student information systems, to online and offline applications, and even mobile SMS distribution, students and teachers will have easy accessibility to Qualtrics in order to enhance learning–anytime, anywhere. And when needed, teachers and administrators have easy access to the appropriate dashboard to help them intervene on trends affecting student outcomes. With real-time data, teachers, parents, and administrators can be made aware of and help resolve student issues before they escalate, as well as intervene and engage with students based on real-time feedback from assessments collected in the classroom. 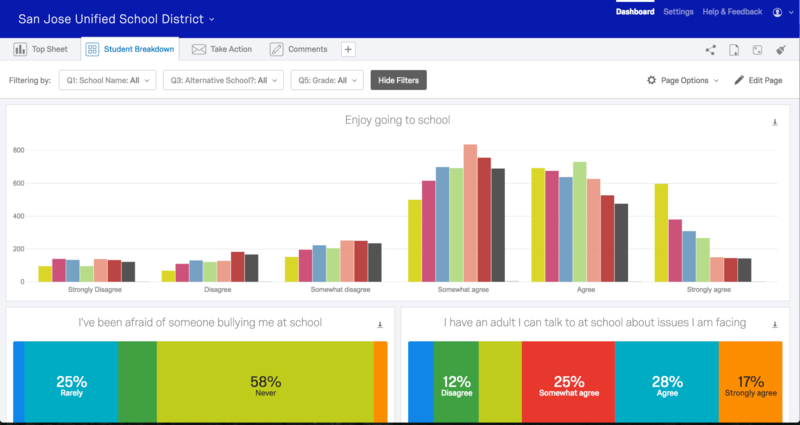 You can even correlate this data across schools to quickly visualize trends and mitigate negative outcomes, as well as highlight and recognize positive trends–all in real-time.